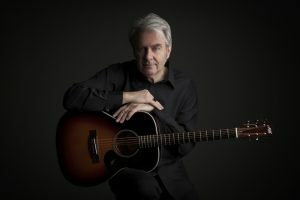 Performing 150 shows a year worldwide, Nick is known internationally as “Australia’s virtuoso of acoustic roots and blues”. His 35 year career has seen him accumulate every conceivable accolade including Port Fairy Artist of the Year 2014, every blues award in Australia multiple times and twice winner of the Australian Song Contest. “The River Flows” was The Age Blues Album of the Year. He’s toured with John Hammond, Guy Clarke and Ralph McTell and performed more than 300 shows across North America. This is dazzling fingerpicking roots magic and a lifetime’s stories and songs from the world’s musical highways.